WHAT’S RIGHT FOR YOUR BUSINESS? EMPLOYEE OR CONTRACTOR? Today’s blog is especially relevant to business owners who are considering bringing more people into the company. I’m going to give you an overview of the pros and cons of using employees or using contractors. Most new business owners do most of the work themselves when they start. You’ll recognise the list of tasks from administration and accounts, to sales and marketing, in addition to the actual work of the business itself. Carrying on in this way is clearly not sustainable for most, and will restrict growth. So, is it time for you to give tasks to someone else? Leaving you to concentrate on developing the company. If you’ve read my other blogs you’ll know how passionate I am about advising business owners to work ‘on’ their business and not just ‘in’ their business. This really is the key to long-term and sustainable success. For many it’s a dilemma. You may be wondering yourself whether to employ someone or to use a contractor, a freelancer or consultant. Here I’ll be sharing my knowledge and experience of the pros and cons of employing or contracting people. It’s my aim to help you to make the right decision for your business. Of course this also depends on the individual, and the qualities they bring. Firstly, let’s look at pros of employing someone. Now let’s take a look at using a contractor. Understanding the pros and cons of using an employee or a contractor, will make running and growing your business a lot easier. If you would like business advice and help in developing your company – from staffing, to processes and systems – please get in touch. Our first two hours of advice are free. 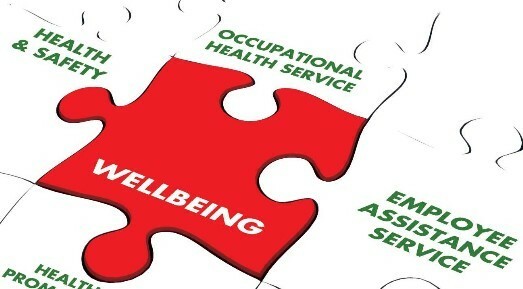 Today I’m going to be talking about the importance of staff wellbeing and how it impacts on businesses. Wellbeing can be defined as: “creating an environment to promote a state of contentment which allows an employee to flourish and achieve their full potential for the benefit of themselves and their organisation”. Putting it simply: People perform better when they are happier. Some of you may be thinking “I’m too busy running my business, I haven’t got time for wellbeing”. Businesses that understand the importance of wellbeing ensure employees have the tools to work and give them opportunities to achieve personal goals and a good work-life balance. How companies introduce wellbeing varies, and includes gyms in the office, healthy lunches and aligning business and staff values. Flexible benefits, including opportunities to buy holiday or shares in the company, healthcare and gym membership. Richard Branson, whose Virgin Group is committed to flexible working, believes as long as his employees do their job, they can work “whenever they want, from wherever they want”. Reward staff members and teams when they meet or exceed targets. It might be enough to offer complimentary therapies such as shoulder or Indian head massage. Business owners should also be aware of the ‘Hawthorne Effect’. Show you care about your employees, and the result is an increase in performance. Ensure employee engagement is prioritised as part of your business strategy. This strategy needs to include clear leadership, policies and procedures, including those which cover staff wellbeing. Be honest and open with your teams, and ask individual staff members what motivates them. This works best when the company’s and employees’ interests are aligned. Wellbeing is directly linked to productivity, growth and brand. Ignore wellbeing and risk increased conflict, sickness, high staff turnover and low morale. This is particularly important to any companies wanting to attract school and university leavers, whose expectations of employers are much higher than previous generations. Positive wellbeing means more productive and creative staff, leading to improved business performance and growth. Get in touch if you would like to discuss ways you can introduce wellbeing into your business strategy, processes and procedures. Watch our video blogs on our You Tube channel to help your business thrive. And please look round our website, for our full range of business services and testimonials. Here I’ll be looking at bullying at work. Now… You might be wondering why a business advisor and trouble-shooter, is interested in, what might be considered by some, as an HR issue. Bullying costs businesses many thousands of pounds each year in legal action, reduced productivity, high staff turnover, and an increase in sick days. I’m particularly passionate about this because I’ve experienced at first hand the damage it causes. Back in my corporate life, before Nozey Parkers, I had a boss that forged documents, signatures and back-dated letters, just to make it look as if myself and others were responsible for his errors. 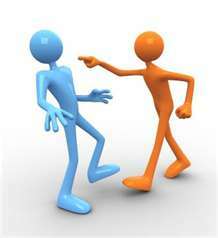 It is your responsibility as business owners to ensure there’s no bullying in your organisation. So ask yourself these questions? Do you know if you’re working with a bully? Are you employing a bully? Or are you a bully? Bullying has a devastating impact across organisations including low morale, high levels of stress and a bad working environment. In addition to absenteeism, companies can expect an increase in theft. It will also become more difficult to recruit and keep good people, especially in these days of social media – word gets out who are the good and bad employers. In extreme cases people can commit suicide, have mental breakdowns, or even resort to murder. More than 80% of bullies are those with power. They can often target hardworking and popular colleagues, because these are seen as a threat. So, hopefully you are now convinced that there is no place in your company for bullying, and now want some pointers. I’ve highlighted how destructive bullying is to business, and offered advice. Contact us at Nozey Parkers if you need help in training managers, introducing protocols and systems, or in organising appraisals. Check out our other blogs here on our website and also our video blogs on our You Tube channel, which are designed to help your business thrive. Look around our website, for our full range of business services and testimonials. In 2006 the CIPD (Chartered Institute of Personnel and Development) set up a group to combine knowledge and understanding of employees and identify key areas for development and employee wellbeing in the workplace. Employees take 8 days sickness absence per year costing approx. £600 per employee. Stress and mental illness cause absences costing business in the UK £3.9 billion a year. £44 billion a year is lost in productivity from disengaged workers. 28 million working days a year are lost due to staff absence. Some pretty hefty figures there! It is very subjective. It could be getting the company’s and the employees values and beliefs in line or it could be a gym at the office or the introduction healthy lunches. Businesses that have wellbeing under control make sure their staff have the tools to get the work done but also give staff the opportunity to achieve their personal goals while maintaining a good work-life balance. Businesses need to be flexible to ensure their staff are well cared for. Try to offer flexible benefits as every employee is different and is motivated by different things. Look at your policies to see if you can have options within them. You could allow employees to buy holiday days, healthcare, gym membership, childcare, or shares in the company, in lieu of salary, if there is not the room financially to provide these things as added benefits. How about flexible hours or some working at home? Is this possible within your company? When you are recruiting make sure the candidates fit the culture and vision of the company, and the role is right for them. Before recruiting, check with your current staff to see if any of them would be more suited to the role. Don’t be afraid to do this as the benefits for the company and the employee are vast. Give employees incentives to work towards, or teams to reach targets together. This creates a win-win situation where the business and the individuals all gain. Have a clear vision that the employees can buy into and encourage them to look after themselves better as well. Inject some fun and excitement into your workplace. Be prepared to lead by example and don’t expect employees to do what you would not. Be prepared to invest in furthering your staff’s education and training. Why not offer some complimentary therapies such as a shoulder massage, Indian head massage, Reiki, EFT, etc. to employees during their lunch breaks. You could either decide to pay for these services, or could subsidise the cost for the employee, by purchasing in bulk from the service providers. James Caan, with all his wealth of experience of running successful companies stated “It is no coincidence that companies which look after their staff and treat them well are the ones which tend to be the market leaders. Word quickly gets around in any sector which companies are the best to work for both in terms of pay and conditions. If people like the way they are treated then they will often be prepared to make extra effort when the pressure really is on”. Studies by Elton Mayo and Nathaniel Hawthorne, decades ago, resulted in a conclusion called the Hawthorne Effect, “Increased performance resulting when management shows that they care about their employees”. The evidence is clear: people perform better when they are happy. Employee engagement within your business strategy needs to become a priority. Aligned within this strategy must be policies, practices, systems, and leadership. Make sure your managers are kept up to date about how you want your staff treated and about how to conduct honest, open discussions with their teams. Policies and systems to maintain wellbeing need to be tailored to meet the company and the individual staff member’s needs. Talk to staff and find out what motivates them. With a positive emotional state, people are more productive and creative. Business performance, improvement & growth are in the hands of your workforce. If you would like help creating and implementing any wellbeing systems and policies get in contact: tina.parker@nozeyparkers.co.uk or 07794 611399. Would you know if you were working with a bully? If you were employing a bully? Or if you were being a bully yourself? I have been subjected to bullying during my career on a few occasions. It is an awful thing for anyone to go through and is totally unnecessary. The worst one was my boss that forged documents, signatures and back dated letters to try to make me take the blame for errors he had made. I was pregnant at the time and ended up in hospital on 3 occasions and nearly lost my daughter, all due to his cruel treatment. This is one reason I felt compelled to right this blog so that maybe it will help you, as a business owner, not let it happen in your company, to your staff. Prof Cary Cooper and Charlotte Rayner PhD carried out some research on bullying. They found that 53% of their subjects were bullied at work and 77% had witnessed bullying. Bullying is different to harassment. Harassment can be physical, verbal or non-verbal, but the harasser might not have meant to upset the individual. Bullying is intentional. There can be many incidents that might not seem like anything on their own, but there is a cumulative effect. It undermines self-esteem and confidence, and can lead to poor performance at work. Bullying costs employers thousands. There will be a high employee turnover rate which means a business paying out for recruitment costs and training. Staff being bullied will have several days out sick as well. For the employees witnessing the bullying it will mean low morale, high levels of stress, bad working environment and they will obviously be working less efficiently as they will be worried that the bully may turn on them next. Some workforces may take out their frustrations, about the bullying, on the company they work for, by stealing, hiding documents, and deliberately trying to cause trouble, as they feel abandoned by the company owners as they are doing nothing about the situation. Many bullied employees will stay in a job due to their financial situation and will put up with the constant undermining but this is usually at the detriment to their health and sanity. If not dealt with bullying may even lead to suicide, mental breakdowns, and in some cases people snap and commit murder! Bullying is difficult to spot in some cases. Some bullies are very clever and only undermine and harass individuals when no one else is around. More than 80% of bullies are the ones with the power in organisations I.e. owners and managers. On average bullies pick on people who are hardworking, well liked, and who they consider a threat. This makes the bullied individuals incapable of working to their normal high standard, which is obviously what the bully wants. 1) Not giving the employee the right tools to complete their roles. Maybe information has not been passed on. Maybe a spreadsheet has been altered or things deleted on purpose to make the employee look bad and set them up to fail. 2) Intimidating individuals in front of people. 3) Ignoring or excluding individuals. 4) Spreading rumours or gossip. 5) When criticising an employee you must be able to back it up with facts. Constant undermining that is judgemental is destructive, crushes confidence, and makes them feel incompetent. 6) You must be consistent with your rules about leave and other time off, otherwise it could be classed as bullying. 7) What about “witch hunting”? If the intent is to find problems and micromanage until you do, you could be classed as bullying that individual. This stressful situation causes the person to make mistakes and can cause all sorts of health issues. 8) Calling people names and insulting them, either in public or privately. 9) Yelling or swearing at an individual in front of others, or tutting and rolling your eyes when they are speaking, to cause humiliation. 10) Taking duties and responsibilities away from people without a good reason. I had one boss who would tell me that they wanted one thing, but would deny asking for it when I presented it to them, and would make me change everything yet again. It can take many forms, and the above are but a few. So what can you do to prevent bullying destroying your business? You must lead by example. Make sure you have a bullying and harassment policy and recognise that if found guilty the bully should be dismissed. Get your managers trained on what bullying consists of and how to spot it. Make sure that employees know about your company values so that they feel confident and able to report any bullying issues. Try to hold regular individual meetings with your employees and conduct appraisals at least once a year. This should be the opportunity for an employee to let you know about any issues, without the threat of losing their job. They should be able to speak honestly and you should be prepared to listen and act upon anything that is causing them stress, making them feel ill and stopping them from doing their job effectively.